Homeowners and commercial businesses in East Grinstead can also take advantage of our wide range of high quality painting, decorating and property refurbishment services. Based in Sevenoaks, we work in East Grinstead, as well as all across Kent, London and the South East. Equally adept at working with either private or commercial clients, we specialise in providing painting and decorating services that really make a difference to a property’s appearance. Utilising the very latest equipment and specialist techniques, our vastly experienced and dedicated team of painters and decorators can meet any requirements, no matter how unique or challenging. As our reputation and business has expanded, so has our range of services. Customer demand has dictated that we also provide a range of property refurbishment and maintenance services, including plumbing, electrics and bathroom refurbishments. We also provide comprehensive insurance work, so if your property has suffered criminal, fire or water damage, we can help. 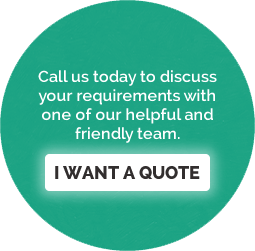 We will deal directly with your insurance company and take care of everything for you. So if you are based in East Grinstead and require high quality painting, decorating and property maintenance services, look no further than the specialists here at Daniel Barrett Decorating Services.